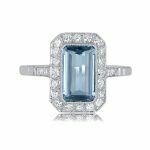 An elegant aquamarine ring that features a flor-de-lis on the shoulder, adorned with four old cut diamonds and two calibre-cut French cut sapphires. 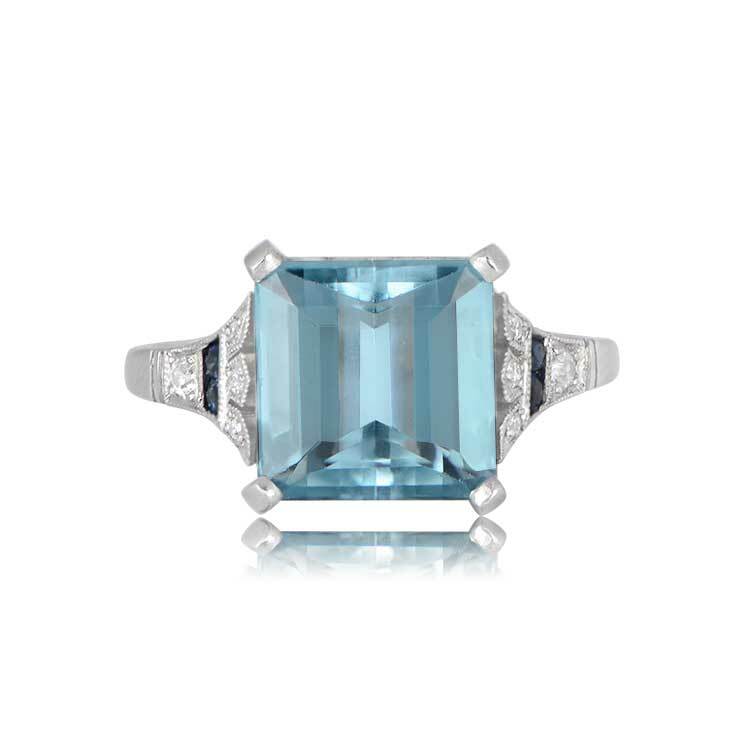 The center aquamarine is natural, has a beautiful Santa-Maria color, and weighs 3.50 carats. 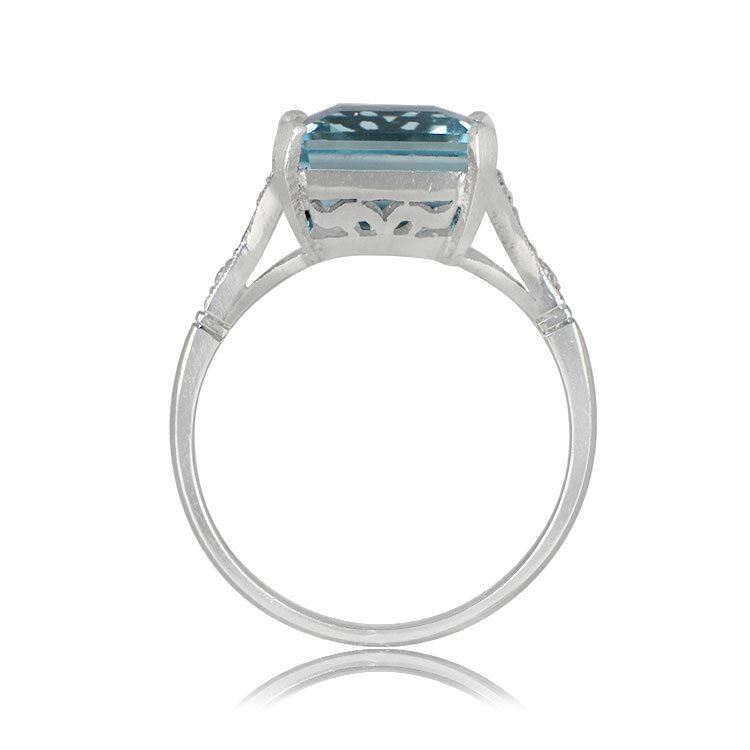 This platinum ring features a open-work design for the under-gallery. 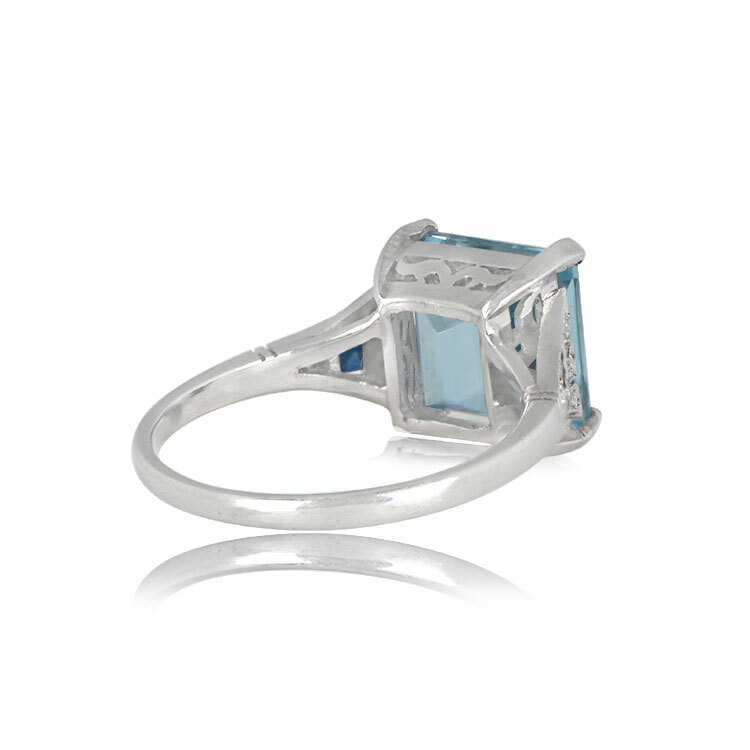 The measurements of the center gemstone is 8.68mm x 8.65mm x 6.23mm. 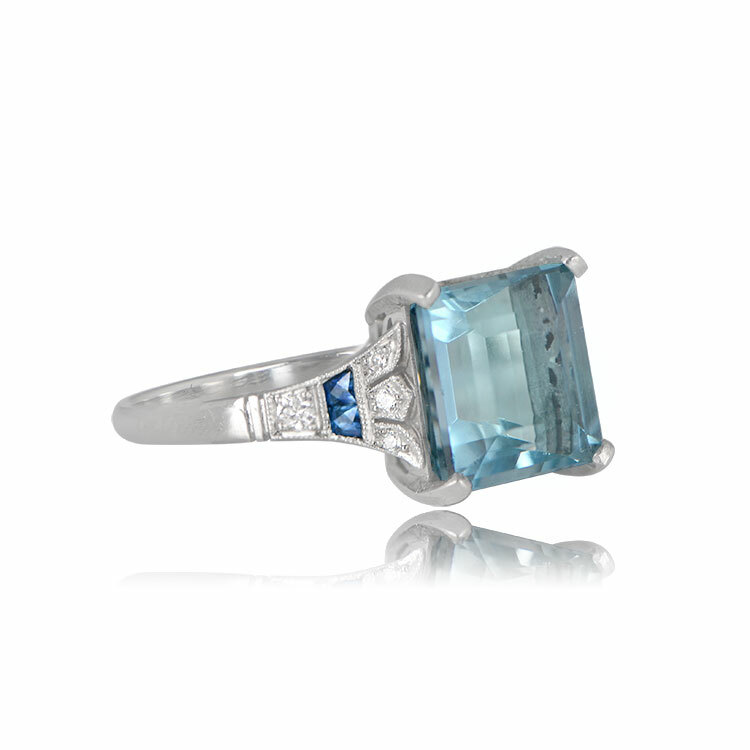 This ring’s profile is as low as the depth of the gemstone. If you have questions about our Holt ring, please feel free to contact us. 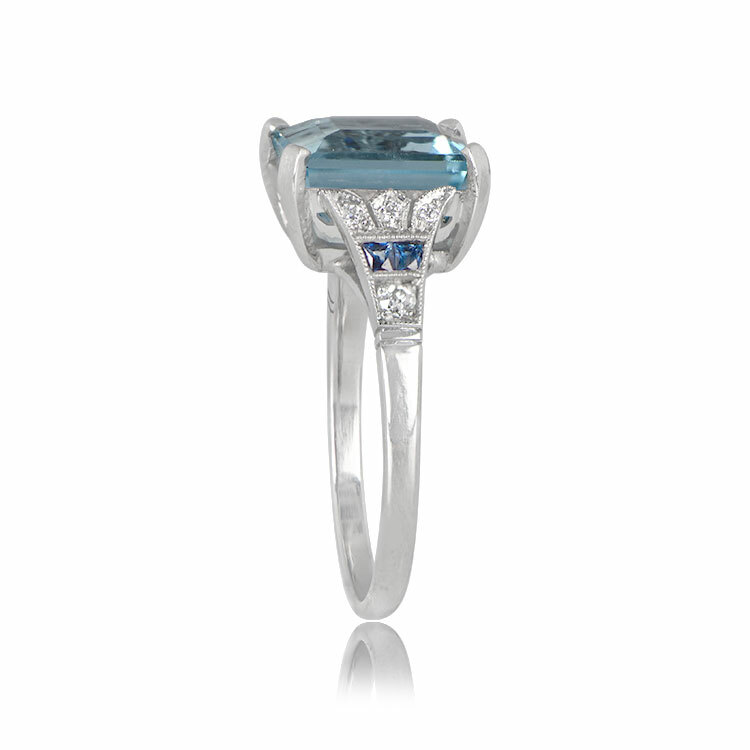 Category: Aquamarine Engagement Rings - Contact us and request additional pictures.